Nothing can match the tastefully decorated ballrooms of the Westmount Country Club. Spacious cocktail areas, large dance floors, crystal chandeliers and floor-to-ceiling windows offer spectacular panoramic views of New Jersey's countryside. The manicured gardens, charming gazebos and outdoor terrace area create the perfect backdrop for cocktail receptions, ceremonies and photo opportunities. The Westmount Country Club's acclaimed catering staff will work with you on every detail of your party to create a sophisticated and highly personalized celebration. The warm decor, superb cuisine and impeccable white glove service exceed the typical catering facility. Few sites in New Jersey compare to the newly renovated Westmount Country Club, situated on top of Garret Mountain on 30 beautiful acres. Kosher catering available. Please visit our web site for an online tour and sample menus and then contact us today for your personal appointment. I want to be invited to a wedding here so I can enjoy the incredible food and have another wonderful night. The waiters/staff were like ghosts -- for all of my guests -- bringing food and drinks without interrupting the night. The food is top notch - I wish it were a restaurant so I could go back just to eat. The cocktail hour has so many options and is so delicious by the time dinner comes you can barely eat. Our point of contact was available to me 24/7 from the moment we booked them answer texts and emails at all hours of the night. I would live the day over again just to enjoy the Westmount once more. From the outstanding service to the quality of the food and beverage, I cannot think of a possible way the event could have been any better. Our guests continue to rave about our wedding, calling it the most elegant they have ever been to. I think the Westmount's reputation speaks for itself in that way. Bobby was our event coordinator and he was constantly making sure my husband and I were fed, had a drink our hands, and were not wanting for anything. One thing that still strikes me as unbelievable is that someone got a ton of makeup on my husband's collar during our receiving line and Bobby had it cleaned by one of his staff while my husband drank a beer in the bridal suite. It took all of five minutes but it was such a kind gesture and such a relief not to worry about that stain in all of our photos. Moments like that really put the Westmount above the rest in quality and service. 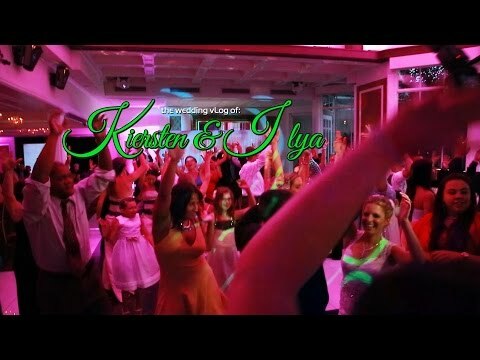 When I look back on our wedding reception, I would not change a thing! This Venue Has It All Figured Out! Epic Wedding!!! There's no place like The Westmount Country Club. My wedding at The WCC was a dream come true and much more. We dealt with such warm and personable people that treated us like old friends. Anthony and Bobby went above and beyond in preparation for our wedding. Excellent service and professionalism. The day of my wedding we were treated like royalty. Our maitre d and Bobby came up to us regularly to make sure we had everything we needed and made sure to feed us. Bobby has to be a magician. He took care of it all (2 kosher meals I had forgotten about, our guests showing up an hour early, my husband wanting two different entrees). Their onsite seamstress saved me from my dress sliding off and brother in law from flashing people as his pants ripped mid party. Our guests haven't stopped raving about our wedding as it being the best wedding they have ever been to. Our guests were in awe of the beauty and modern decor of the venue and the how exceptional the food was.